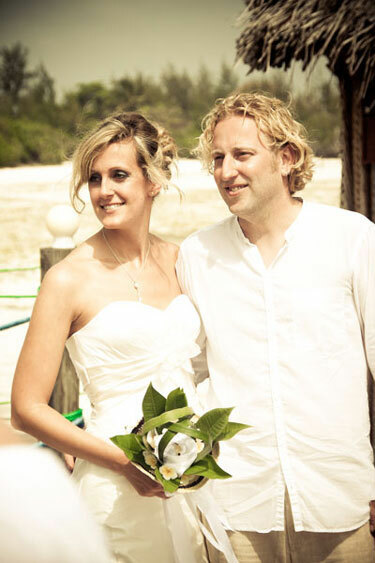 In 2012, we had our first reported PfaP bride and groom! We want to congratulate this thoughtful couple on their creativity in managing to Pack for a Purpose before their honeymoon without our wonderful tips! For your wedding, you can choose to be PfaP honeymooners! Joy is a contagion worth spreading! Sharing the wonder of your wedding can be easily accomplished when you Pack for a Purpose before your honeymoon! With over 230 lodgings on our website, almost all of which have honeymoon accommodations, you can easily find a destination where generosity benefiting the local community can be part of a romantic honeymoon. It starts with wedding presents and how they are wrapped. Simply choose the project you wish to support from the Pack for a Purpose (PfaP) website, and then let your guests know that they have an option when wrapping your wedding presents–a way to wrap charitable gift giving around their wedding gift as a tribute to your generous hearts. After wrapping a ribbon around their gift to you, ask your guests to replace the bow with their charitable gift: a few supplies that you wish to take to the project. For example, guests could attach a package of pencils, a couple of rulers, or a box of band-aids to the ribbon used to decorate their gift to you. Next, assign a designated bridal party member as the official PfaP Gatherer. This person can collect the supplies at the reception and, if you wish, pack them into your luggage for the trip. It’s as simple as that! For those techno-savvy couples, consider uploading the project details and supply lists onto your wedding website. This will help you acquire a variety of supplies! Having your guests simply replace the bows on your gift with items requested by the projects you wish to support will allow you and your guests to spread the joy of your union in a meaningful and appreciated way. This small substitution adds no extra cost to anyone, and adds enormous value to the community you visit! We found Pack for a Purpose on Facebook. Mark Dieler, the manager of the Red Monkey Lodge (our first accommodation on Zanzibar), posted the needs of the Makunduchi Hospital about two weeks before we travelled to Zanzibar. We knew that we had a 46 kg per-person free luggage allowance and were considering some weeks before what the most useful items would be that we could bring to Zanzibar. Mark’s post came at exactly the right time. We shared his Facebook post and some friends contacted us. 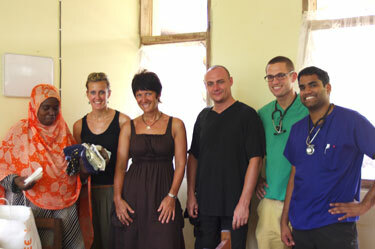 One friend of ours, a doctor, donated a large amount of medical supplies. We collected about 40 kg of donations total. We were very happy because it is always our intention to learn more about the real lives of the locals in the countries we travel to and to support them if possible. We had never been to Tanzania or Zanzibar, but we had heard a lot of good things from friends who had been there and we have seen some interesting and beautiful reports on TV. We were able to take two suitcases packed full of injections, sutures, scalpels, medicine, unguents, dental equipment, mobile phones, USB flash drives, items for infants, blood pressure cuffs and blood sugar meters, gloves and so on. My mother, who is a midwife, also came to Zanzibar to be with us for our wedding. She brought a large bag with useful items, especially for deliveries and infants. We had a very interesting and impressive tour through the hospital. My mother was especially impressed because she had the chance to hear a pregnant woman’s baby’s heartbeat with their traditional equipment. The concept of the Red Monkey Lodge is to live very close to the locals. We stayed there about 10 days before we moved to Spice Island Resort, where our wedding took place. We also had a guided tour through the village where the lodge is, visited the school, the medicine man, and the local people’s houses. The combination of all these experiences gave us an extensive view of the local people’s lives. We were very happy that we could give the Zanzibar something back, because we had three wonderful weeks and our perfect wedding on their island. Maybe it was a little thank you from our side, because we spent one of the most important day of our life there. We would definitely recommend to all travelers, especially brides and grooms, to consider packing for a purpose because it takes just a small effort to pack and gives you the wonderful feeling that you did something useful for the local community.